We know the Batman universe can get pretty weird sometimes, and we feel bad for villains like The Riddler. People like to give him a hard time because he tries to confuse and...riddle...(get it? )...his enemies, but honestly it's a whole lot better than that one guy who could see out of his fingers. (look it up, he's a real villain) So we'd like to let everyone know that it's ok to like The Riddler. In fact, we'd even encourage you to show your support by dressing up like him for your next Halloween or costume party. Just be sure you add his iconic cane to your costume...hey, just like this one! 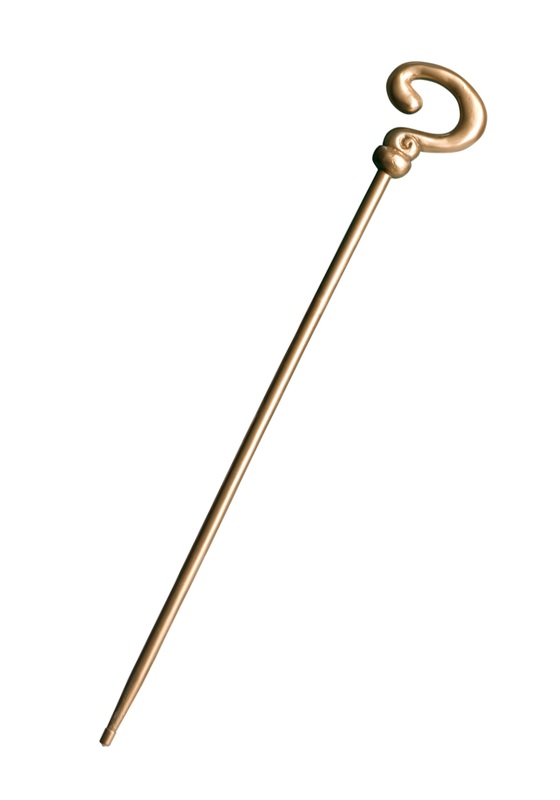 This particular cane is gold colored, made of solid plastic, with the classic question mark handle that The Riddler is so well known for. It's durable to hold up on your next quest to riddle the parents handing out Halloween candy, or confuse your co-workers at your next party, or just make cosplay a little more mysterious when you're attending the latest comic convention.